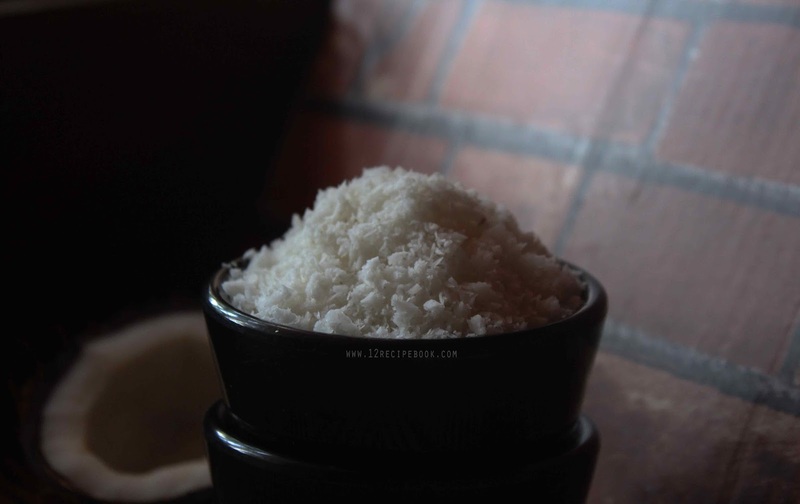 Desiccated coconut or the thin dried coconut curls are used for many desserts, baked goods and toppings. Normally we used the store bought ones and sometimes not available. We can make it easily at home with little efforts. As a Keralite fresh coconut is readily available for me and rarely gets the desiccated coconut from stores. We can make it bulk in quantity and store for long use. 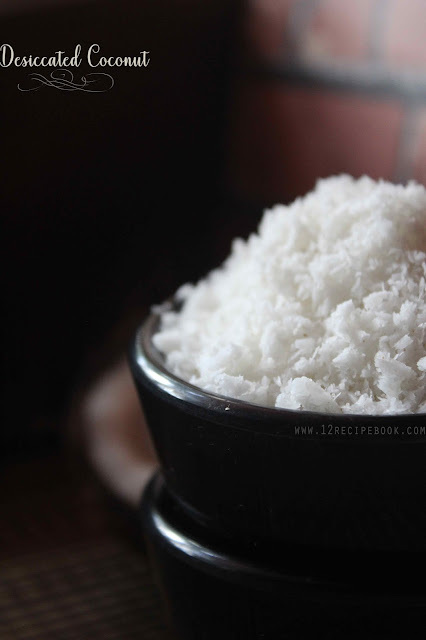 We can get two cups of desiccated coconut from a large coconut. Use more coconut for your choice. 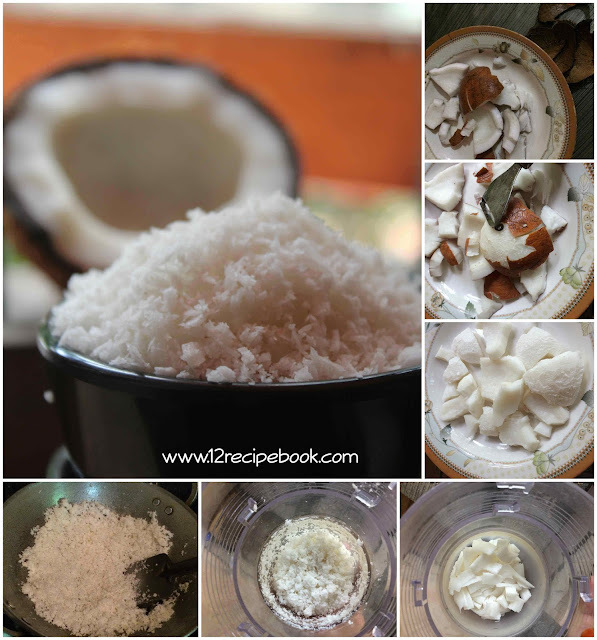 Cut out out the coconut from its shell. Now peel its outer brown skin by using a peeler or knife. (in order to remove all brown parts). cut the white flesh in to thin pieces and add in to a blender. Now heat a pan (preferably non-stick)in low flame and add the thinly ground coconut. Dry roast by stirring continuously until dried well (about 15-20 minutes) without occurring any color change. (Or you can bake it in an oven for about 15 -20 minutes until dried and without changing it's color). After switching off the flame. Keep the desiccated coconut in hot pan for another 15 minutes (stir often). Allow to cool down completely and store it in an air tight container for long use.